In coastal areas around the globe, “king tides” – the highest high tides of the year – can offer a glimpse of the future when sea level rise will impact coastal cities and towns. For many low-lying island nations, however, the king tides of today are more than just a glimpse of problems to come, they create significant problems in the present. News reports this week illustrate some of the problems faced by island nations during these most recent king tides. 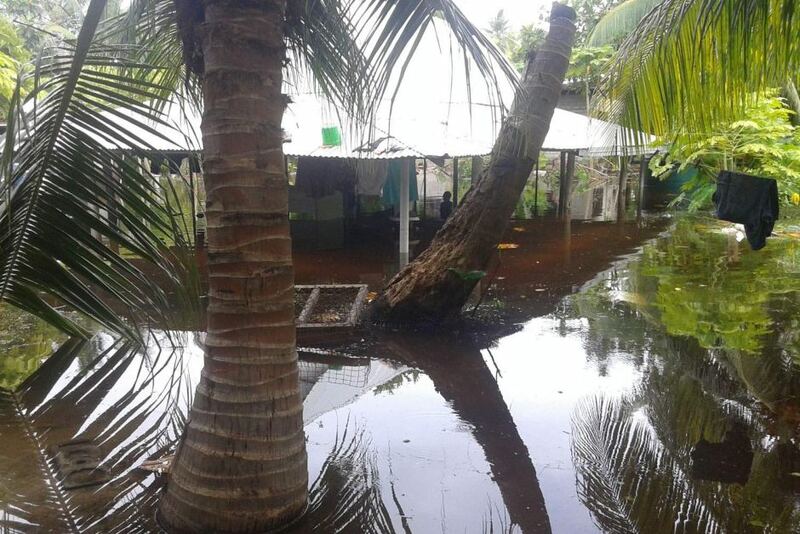 Hundreds were forced to evacuate the capital of the Marshall Islands due to flooding, and in Kiribati, crops were destroyed from saltwater contamination due to the king tides. Many researchers and policy makers consider low-lying coastal areas like these to be the “canaries in the coal mine” of sea level rise impacts.